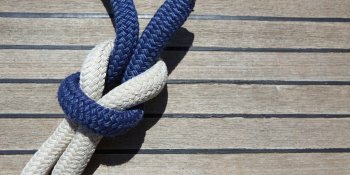 Organizational strands are usually knotted together. It seems as if there's an epidemic of change out there! Re-engineering, restructuring, revamping – workplaces today seem to be launching one change initiative after another. But the hard truth is that many change initiatives fail. Why? The answer may lie in the way we view change. Do you see it as an isolated process? And do you focus only on one part of your organization in isolation? This can be a fatal error. Everything in an organization is connected, and changing one piece can impact another. This is why change is only likely to be successful if it considers all of those interconnected pieces. This is where Leavitt's Diamond is useful. Designed by Harold J. Leavitt in 1965, the model is a framework for understanding the connection between the key factors in an organization, and for building an integrated change strategy.